I am honored to have this opportunity to be with you as we open another general conference of The Church of Jesus Christ of Latter-day Saints. In the coming week the First Presidency and the Twelve Apostles will meet with all the General Authorities and general auxiliary leaders, and the remaining sessions of our worldwide general conference will follow on the coming Saturday and Sunday. If that seems innocent to you, it is because you haven’t been following the to-do regarding whether the General Women’s Meeting is or is not part of General Conference. Data points scatter in all directions on this issue. 1. Something that was not doctrinal was turned into a hill worth dying on. What difference does it make if women are physically present in the Conference Center during priesthood session? Is there a revelation that makes their presence doctrinally incorrect? Similarly, what difference does it make if the Women’s Meeting is counted as a session? 2. The church response turned a molehill into a mountain. Had the church initially permitted women to attend priesthood meeting, I imagine a max of a dozen would have shown up. And what precisely are the negative consequences of counting the Women’s Meeting as a session? 3. The response became (or: has the potential to become) a PR nightmare. We’ve all seen the headlines that OW garnered. And now the church has edited a prayer (a prayer, of all things!). The word “Orwellian” is just too easy to reach for in these circumstances. As if many people would even listen to the prayer for the session again (I realize people use the talks a lot, but the prayers? They could easily have left it to languish in obscurity.) I also worry that anyone who becomes aware of this incident will think the church is creepy for editing a prayer and ignorant of how the Internet works, since the original and edited versions are easily available. This is the last thing that an organization accused of hiding its origins needs to be doing in 2014. Similarly, I can’t identify the coherence in (1) denying women entrance to the conference center, (2) broadcasting the meeting so women can watch it at home, and (3) telling local leaders to discourage-but-not-prohibit women from attending at meetinghouses (a policy which, at any rate, was not consistently followed this weekend). And, depending on which source you check, the Women’s Meeting is–or is not–part of conference. I think the tolerance of the conflicting messages related to women’s issues directly reflects–or stems from, or, at the very least, conveys–the belief that these issues don’t matter enough to think through. The idea of editing a prayer so that no one would think that the General Women’s Meeting was part of General Conference really grates on me. If you had set out to find one petty, bureaucratic, and completely meaningless way of being sure that Mormon women get the message that they don’t “count,” you couldn’t do any better than this–altering the words of a prayer so that their meeting literally does not count. And the real shame of it is that the General Women’s Meeting itself was nearly perfect in every way. Update 10/13: On lds.org, there is a piece called “20 Memorable Events in General Conference History.” Here’s the entry for 2014: “In March, the Church held a general women’s meeting including girls eight years and older that replaced the annual general Relief Society and general Young Women meetings. At the meeting in September, it was announced that the general women’s meeting was the first session of the semiannual general conference.” While I found this on October 13th, it was actually published on October 3rd, after going through Correlation as part of the Church News. I see no way to reconcile this with the statement from Public Affairs. Update 10/30: The First Presidency has decided that the General Women’s Meeting is now formally part of General Conference. Announcement here. Thanks, Julie. Get ready for the blowback. Yes. Yes yes yes a thousand times. And no one can retort, well it doesn’t really matter, because it obviously does matter. I have nothing to add, you nailed it on the head. I’m stunned someone would do this. It matters. But it doesn’t matter that it matters. Or something. Eeesh. I actually pointed out (both at the stake center and first thing when I got home) this prayer and its implications. Really disappointed that they (and I can’t believe I’m saying this) edited the audio of a prayer. Really? So much for K. Skaggs lambasting people who were happy to hear President Uchtdorf appear to include General Women’s meeting as a session of General Conference like the Priesthood Session is — her argument was that such people and the “liberal” media that they controlled or alternatively were influenced by (not clear in her essay) were trying to hurt the Church because, according to her, of course the General Women’s meeting was always considered part of General Conference, just like Priesthood Session. I guess this means that, no, General Women’s meeting was not in the past considered part of General Conference like Priesthood Session and still isn’t based on editing the designation out of this prayer. Wow. Someone tried to edit a word out of a GA’s prayer (that happened to be consistent with the statement of a member of the First Presidency)? That is really … ridiculous! I hope the person responsible is reproved with sharpness. Yet the Sunday Morning prayer didn’t need editing. What in the name of Ronald E. Poelman is going on here?? Anti-feminism is one of the things giving the church an identity right now. It appears to have a comparative advantage in the supply of it. Don’t you think that whoever makes decisions like this (to edit a prayer) simply believes that, while some people notice it, most members will not notice or care. And when those of us who do care make a fuss about it, we are made to feel petty and small-minded. Because it is a relatively small thing to count the Women’s Meetings as an official part of GC. It is really like a bone being thrown off of the table. I believe that in 40 or 50 years we will learn that heated arguments are going on “back stage” about all of these uppity women. Women, ironically, who give so much and labor with such faith, and ultimately feel ignored and unvalued. silver lining: just imagine the message it would send if it had been one of the women’s prayers. FWIW – on Gospel Library App, April 2014 Conference includes the Women’s Session, although it shows it at the end as opposed to the beginning. Re # 16 — major, even extreme, PR fail. In fact, the October conference includes the general women’s session or RS Session as far back as 1981. Thanks for this Julie. Really surprised. Outstanding response, Julie. This is just ridiculous. I can’t imagine how the cost (helping show the Church as an organization willing to edit its history almost in real time) is worth the benefit (making sure nobody accidentally thinks the women’s session actually counts as part of Conference). The fact that someone chose to do this suggests that they think the benefit is really really big, which is really really depressing. Won’t it be awesome when they make Elder Carlson record another version of his prayer. Julie, excellent description of what happened and why that’s a problem. Thanks. Brandon, if you are legit, thanks for chiming in. You didn’t give a response to the core of the issue: What *was* the reason for removing the word? Are you suggesting it was simply an editing glitch, and that the audio was accidentally cut out? I don’t know how these things work, but my first thought was that it might be a sound tech that thought (s)he was correcting a mistake. But I have a hard time imagining why anyone would take the time to edit the word out. Julie: Make no mistake: I totally agree with you. The fact that most members won’t notice or care simply means that our church gets away with occasionally doing crazy and odd things. I believe that for many members, they find solace in the church and comfort there, and they aren’t that interested in these kinds of “minor” points, and would rush to defend the church if it were criticized for doing something like editing one word of a prayer. I often feel that our church is stuck in “adolescence.” A teenager is likely to go to school, feeling humiliated and ashamed because he has pimple on the middle of his forehead. He will do anything to distract others from it. He doesn’t notice that everyone else at school also has a pimple in the middle of their foreheads. Eventually he will grow up, gain some confidence, and stop worrying about what everyone else thinks of him. Then he can be himself. I believe that the church tries to micromanage its own image and does very shortsighted and even immature things that can be made to make it (the church) appear shallow, manipulative and dishonest. Which is that very last thing that I find in the church leaders that I work with. Well done, Julie. I agree completely. ADMIN NOTE: Brandon Newman, your comment has been placed in moderation while we confirm that you are who you claim to be. Do you know why the honest mistake of “faithen our strength” wasn’t corrected through such after-the-fact editing? Aside from the Poelman episode from several decades ago, have other actual video/audio of talks been edited like this rather than just modified in the print version, as with President Packer’s reference to the Family Proclamation as a revelation a few years back, which was changed in the print version? It can’t be argued it was a video or sound glitch. If you select CC (Closed Captioning) the text also omits “fourth,” which shows that it was a deliberate redaction of both sound and text. Let’s assume that this change was motivated by a group of people’s belief that Elder Carson slipped up and said “fourth” when he meant “third.” That several people looked at this and not one person thought to point out that maybe Elder Carson deliberately said “fourth” shows how important it is to have a diversity of perspectives in an organization. It seems like so many of the Church’s PR missteps could have been solved by having someone in the decision making process who could see how those decisions would look to those outside of the COB. While not necessarily a bad suggestion, it is likely an impractical one. Though I am sure that we could find plenty of bloggernacle volunteers for such a position. Of all the poor PR choices regarding women in the last 18 months, this seems like the creepiest. Not the most important, just downright weird. And stupid. a bigger question is why would such a small mistake be edited even in the complete absence of any awareness that the question about whether General Women’s meeting is a part of General Conference like the Priesthood Session (and President Uchtdorf’s seemingly acknowledging words in his women’s meeting talk)? This question is especially salient in light of the delightful mistake a different prayer-giver made with the “faithen our strength” slip that has now become a popular and cute Facebook meme. The definition of priesthood creep. Elder Carlson mentioned in a recent stake conference that one of his jobs is collecting media stories about the church. He was highly congnizant of gender issues within the church and spoke about the need for greater inclusion and visibility for women. The brethren might claim that they are not in a bubble but it certainly seems that people at the COB, namely the PR department and General Conference production teams, seem to be. As Julie said above, “the belief that these issues don’t matter enough to think through.” seems to be the best-case scenario in this case and that in itself is a problem. 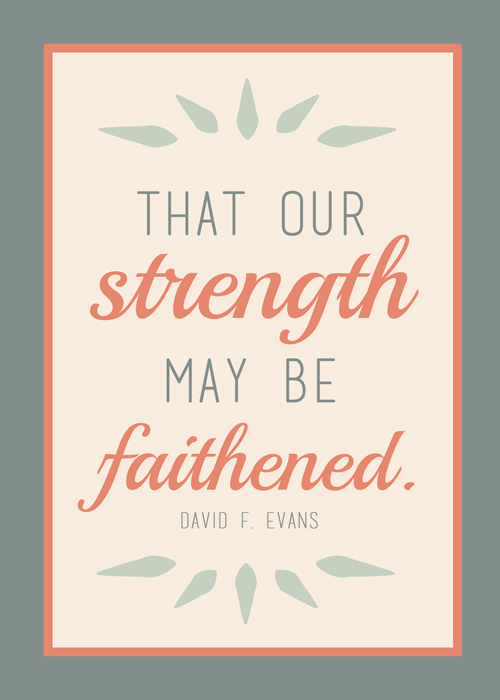 How exactly would you correct “faithen our strength? I am no expert, but it seems to me that you would need to bring the prayer giver in to re-record the right phrase a few times and then add background noise. Would probably be a lot of effort. ABM, he repeated the phrase correctly after the gaffe, so it would have been easy to cut. If you go to both the video and audio versions of the Priesthood Session at lds.org, you’ll find that they have now completely removed the opening prayer by Elder Carlson. The closing prayer, however, is still there. Perhaps there is an innocent explanation for this, but it all seems quite odd and unnecessary. ABM, I’m not sure why contracting with PR consultants outside of the COB would be impractical, but I don’t have much invested in the argument so I’ll take your word on it. I don’t know that I buy the explanation given by “Brandon Newman” above, but assuming for the sake of argument that it is true, then I don’t really see a problem with editing the one mistake but not the other–it’s much easier to mute a single syllable than it is to fix “faithen our strength”…plus the fact that it was hilarious meant everyone noticed it, so attempting to fix it truly would get noticed. sure. that’s exactly what happened in the Poelman situation (see the link provided by S. Smoot above). Are you saying that they muted “fourth” as something they thought must have been a mistake but not the faithen our strength thing because the latter wasn’t as easy to do, but they would have if they could have? Ah, I didn’t recall that he repeated the correct phrase. My mistake. My point is that in such a scenario, how would a sound and editing team even know to consult outside PR? Brandon Newman, I don’t know how much you can communicate back up the chain and I realize you don’t know the motivation behind the edit, but if you have any power to communicate anything upstream will you tell whoever that this did matter and it did hurt, intentional or not. 3. “Fourth”: Low relative importance + Low effort required -> mute it. Fun fact: each desk in the Church’s Department of Ark Steadying is shaped like a miniature Ark of the Covenant! I apologize for being way late to this discussion, but I wanted to respond to Julie’s comment in #16 about this winding up in the CES Letter. 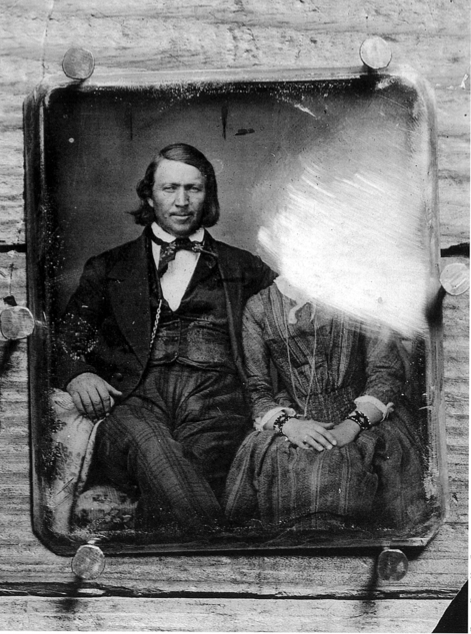 One of the biggest complaints I have about the CES letter is that, except for polygamy, it’s all but silent on women’s issues. I wish Jeremy had addressed things like sexism in the temple ceremony, withdrawing of the ability for women to give healing blessings, the Relief Society losing its autonomy under correlation. the fact that no women are allowed to be present to offer support or act as an advocate when a woman is facing a church disciplinary council, and so on. I know it’s Jeremy’s letter and not mine, but I wish he had taken the time to address these. Sorry to thread jack, but it sure would be great if people could stop wresting Isaiah 29:21. The KJV is a mistranslation, and it definitely doesn’t mean that speakers don’t have responsibility for how their speech affects other people. Uh, has anyone seen Elder Carlson since Conference? Let’s hope they don’t edit him out. Or call him to preside over the Siberia Mission. From my understanding of the culture and how the COB work it would be very suprising to me to find that anyone in church tech would feel comfortable muting any word spoken by a GA much less a prayer without checking well up the chain of the command. I mean who has the decision rights to mute words? If so it is odd that to my knowledge this power has never been used before in such a way. Doing something so odd and for the first time in not something people in strongly hierarchical beaucracies do. It is all risk to them and no reward. All it can do is get them in trouble. “Why are you muting prayers from GC just because you thought they made a mistake?” It goes against every bureaucractic instinct and incentive. This makes me suspect it had to have been deliberate and from high up. The message wasn’t meant to be sent to us but sent either to the 70 who said the prayer or other leaders pushing the Women’s Meeting as an official part of GC. It feels like a fight really is brewing. It feels like a very petty version of Benson v Brown giving dualing talks. Uchtdorf and his allies use their pulpit opportunities to signal inclusion and someone is fighting back. They couldn’t possibly mute Uchtdorf or change his talk but the prayer of a 70…. In the end, this is simply so petty on the part of whoever is doing this in the COB that it deserves to be a PR disaster. Pettiness is about as the opposite of Christ-like behavior as I can think of. If Christ was NOT one thing it was petty. If the COB wants to have a fight about whether women count let them be adults about it. It is at times like these I wish we were back in days of Mckay. At least then we as members could see where our leaders stood, what was under discussion and what was in play. They trusted us to be adults. This is not only childish on their part but treating the membership as children. Its as if they think the membership hasn’t yet developed object permance which makes us under two years old in their estimation. Julie, as usual, spot on. Death by a thousand (and one) cuts continues. Julie, well done! Thank you. Wow. Thus, by small and simple things are great things brought to pass (or in this case, made manifest.) Also, what S said about the tech department. Yeah that. Another embarrassing move. Wait till the NYT picks this up. It’ll make a nice postscript to the Meet The Mormons coverage. Good one, COB. This is such an illustration of how insanely dysfunctional this “conversation” is at the moment. It’s like a couple with relationship issues only communicating through tone of voice and petty passive aggressive signs and facial expressions. Is the General Womens’ Meeting part of General Conference or not?! Can someone, and preferably not through the maybe-maybe-not official “Newsroom”, someone with a name and some authority that we all just recognized and sustained this weekend, talk about the issues in plain language, using generally accepted definitions of words, so everyone can actually understand what is going on? Please?! Brandon, it’s really not women’s pain that is the problem here. It’s the inconsistent messaging and, as Julie said, the fact that despite this clearly being a major PR problem for the Church right now, we somehow can’t even get the easy stuff right. It’s not that we need to make women FEEL better–we need to THINK better about women. If you are real (haven’t heard) could you please give us other examples where similar decisions have been “on the fly” to mute or otherwise alter prayers or talks by members of the tech team without direction from or approval by ecclesiastical leaders in the COB? I think that would help us put this “accident” in context. Thanks for all the sleuthing work and for a wonderful post! Now I want to go back and listen to the Priesthood session from April and see if they did anything about the speaker who was inadvertently introduced as a member of the presidency of the Young Women. To me, a lot of these questions center around the question of why “Leaders” don’t publicly respond more often to questions like this. Do we encourage all our friends to contact Apostles to ask whether the Women’s Meeting is part of General Conference? Are all members supposed to read Priesthood Talks as well as Primary & Relief Society talks? Are they all to be cited in talks and lessons? Why could not a part of General Conference be answering questions like “What is this____Doctrine?” or “This is why things are done a certain way______.” If local leaders can discipline members for teaching false doctrines, what measure do they use for what are true doctrines? If an Apostle speaks a personal opinion that is not really doctrinal, why is there not an open clarification later, authorized by the First Presidency? It happens, but not as much as would be helpful, in my view. If the First Presidency is not sure what is Doctrine and what is Policy that could be modified, why can’t they say “we don’t know yet” while they petition God? I agree with those who have said it would be good to at least hear “We have prayed about whether to make any changes with regard to women and the priesthood and here is where we stand:________” I think it’s very hard for leaders to admit, at the highest levels, that they DON’T agree on fundamentals like what The Priesthood really is, and how it operates in various situations, to answer basic questions. AND I want to be faithful in service while I acknowledge my discomforts. Another tidbit to consider is that we still don’t have the bandwidth and/or bureaucratic willpower to get updated artwork for the BoM translation process, yet somehow there are resources available to monitor and revise things like this. What does it say about priorities? I matter to Heavenly Father. The rest of it is immaterial. That is just me though. You do realize that to commission new artwork and order replacements for who knows how many chapels and buildings will consume a much larger amount of time and resources than does a small edit by an audio team that already exists for the express purpose of general conference? Regardless of who/how this played out it appears that some are too willing to make a connection that almost certainly doesn’t exist to other issues/pet causes. Old habits die hard. Really hard. Then let’s just say that I was quoting 2 Ne. 27: 32. Or then, again, I could quote Avraham Gileadi: “those who at a word adjudge [the church] to be guilty.” But, really, the whole thing was meant to be kind of a joke — you know, *a* word. One stupid little (muted, in this case) word — and we fly to pieces like tempered glass. This was a rough year for people who care about women’s issues in the church. I listened to the talks hoping for a word/comfort/whatever tossed to those of us who were hurt by the church’s handling of various women’s issues. Looking at this year collectively–I’m done. I wish I could stay. They have pushed out my RM–temple married–always-in-leadership and always-trying-to-serve self. (I list these qualities to convince that I was a valuable Mormon, but I can’t quite convince myself. I”m the wrong kind of woman to matter.). And it is probably just me, but I have the feeling that there is a collective attitude of ‘don’t let the door hit you on the way out’ to people like me. I love the church and wish it well, but no longer am willing to deal with the pain of it. Has there ever been an official explanation about the Poelman disaster? You do realize that to commission new artwork doesn’t have to entail ordering replacements for existing artwork? The church didn’t mail me a new quad when they updated the D&C in 2013. Has anyone contacted Peggy Stacks with this story? Question – did anyone check out the fact claims of the post? When I go to the church website, I click on the conference link and it takes me to the traditional conference page. However, the hyper links only reflect the talks given, not the music and prayers. There is a link that asks if you want to watch all of conference. Is that the “Archive” that is being referenced as having been changed? At any rate, in order to look up something like the opening prayer for priesthood one appears to have to make a decent effort. Are there really feminists who do nothing but look for this kind of stuff in their spare time? It is always nice to see the writers and commenters at T&S fulfill Biblical prophecy. You are literally “offenders for a word.” See Isaiah 29:21. What are the guidelines for making an edit? Is there any requirement to consult the speaker and ask what his/her intention was? IDIAT, Feminists don’t have to go looking for this. It doesn’t require much effort to watch the priesthood session (yes, click on watch the whole conference) and many of us women do it as part of our stewardship. I was watching it yesterday prior to evening Stake Council so I would be prepared to discuss Teachings for Our Times suggestions. For those who think people are making a big deal over a single word, keep in mind that if it was not a technician’s mistake that President Uchtdorf’s actions are being undone. That’s pretty serious stuff to contradict a member of the First Presidency. Though maybe if President Uchtdorf is supporting feminists some of you would already consider him verging on apostasy. Now, now, why would anyone doubt the good folks at Minitrue? He clearly said “cough”, not “fourth”. Some of you may want to spend some time at Minilove to get in the right spirit. betwixt – what are you talking about? the prayer is still there. People keep responding to Brandon’s comment. Regardless of whether he is real or not, what did he say? I didn’t want your heartfelt comment to go unacknowledged. WTF. Is that supposed to be some sort of supportive sarcasm? That may be the single most rude and condescending comment I have seen on the bloggernacle in a long while. Generally, we Mormons don’t treat people that way. Really it is simply shameful. I am not sure I understand your point. President Uchtdorf himself seems to not be entirely consistent with how he numbers the sessions. See comment #57. And comment #71 found another similar mistake edited from a previous conference. I think that we are all missing the point that, whether Brandon is real or not, it is infinitely more likely that this is a decision by the technical/audio team than it is to be a decision coming from a GA. I think it is a shame that we jump to these conclusions so easily. The edit notwithstanding here is my struggle. General conference is not defined in the handbooks. The format has changed over the years. But for about 30 plus years the women’s meeting had been lumped in with conference in the Ensign, the church website and library app. The post asks “Do women count?” In what sense? If Uchdorf or the prayer had not referred to the women’s meeting as part of conference (recognizing it as a separate and distinct meeting from General Conference) would that be a bad thing? A couple of years ago when they had the YW meeting was that also the beginning of a General Conference? Is this all about TFOT and the desire to include talks from the Women’s Meeting as part of the fourth Sunday study in RS/PH? Maybe we should collectively approach Michael Otterson (in an ‘acceptable’ tone, of course) to clear up the confusion. It’s a simple question. For a church that is so concerned with order and procedure, I think it’s important to clear this up. I hope there’s an innocent explanation to this seemingly petty edit. For those who missed it, here’s the explanation to the Poelman incident–an explanation that needs an edit itself: Poleman? http://en.fairmormon.org/Mormonism_and_history/Censorship_and_revision/Ronald_E._Poelman_in_1984. If true, the Poelman story is much ado about not a lot. Let’s hope the prayer edit is too. Immediately following general conference, those Apostles who regularly deal with Mormon apos- tate groups “pointed out” to Elder Poelman that his remarks might by misinterpreted. He was told that such apostate groups might use his remarks to argue that “those fully versed in and converted to the gospel do not need the Church,” according to his brother, Stuart, a Salt Lake City attorney. Elder Poelman then revised his speech with those concerns in mind. In my opinion, the Church should not edit anything from the video or audio of talks presented to the world in General Conference. It is fake and can easily be interpreted by critics as outright dishonest. If it is a mistake, let it stand in the video or audio record and simply issue a clarification or correction in another communication, whether by means of video, audio, or in writing. Brandon, if you are real, is there any chance you could get that humble suggestion up the chain — that it simply won’t do to edit the audio or video record like this after the fact? This is more so now, in 2014 than ever — and it was already a pretty big deal when it was done with Elder Poelman. Here’s the thing with that explanation about l’affair Poelman: I don’t believe it. It strains credibility. What’s more worrisome to the church, that a handful of UT/AZ border hillbillies are going to latch on to one more reason to stay polygamists, or that the wider church membership get the idea that the church is only important to the extent that it can deliver the Gospel to us? I was in Priesthood Session when President Uchtdorf accidentally said “Young Women” instead of “Young Men” and aside from 75% of attendees blushing a bit in mild vicarious embarrassment for the slip, no one was misled or thought that President Uchtdorf is not fit for his calling or anything of the sort. It honestly should have been left as it was in the video record. It raises the question of what else has been changed without people noticing. Has this happened often? If so, how are we to trust even the videos we can click on and watch? By way of example, for me personally, and I believe I am not alone in this, I am not very interested in seeing a photoshopped photograph. I sense that this might be a generational thing. I notice that my parents and grandparents generations seem to think that photoshop is nifty and they don’t seem to mind it one bit. But a number of people in my own generation, I believe, feel the same way I do: that it’s not really worth looking at a photoshopped photo that is presented without an acknowledgement of the alteration because it is simply fake and does not constitute an accurate representation of the “facts” at the moment of the photograph. So-and-so was not really there or was not actually smiling in that moment. Etc. Also, it is interesting to note that much of this thread consists of heartfelt pleas to a pseudonymous, self-identified but unverified church employee, to please, please, ask those people in charge of this nonsense, whoever they are, to consider stopping it. Maybe that will work. Who knows. But it’s the best you can do, because as Mormons were instructed this past weekend, the General Authorities serve to represent the Prophet to the people, and not the people to the Prophet. That job belongs to, I guess, “Brandon”? @livermore Are you watching it from youtube or lds.org? From lds.org, the MTC choir concludes the opening song at about 11:50, then you see from a bird’s eye view Elder Carlson approaching the stand for the invocation, then it immediately cuts to Quentin L. Cook at 12:03. The opening prayer has been removed. GST- It may strain credibility for those who perceive the Church to be weighted against the left. There is certainly more than a handful of right-wingers who fall off on that side of things, both then and now, though the press seems to care much less. Witness the apparently growing right-wing flock of Denver Snuffer. Hmm, the “church” … probably the sound team… muted one word and now we really have to be suspicious of everything else they do especially it when it comes to our favorite issues with the church. Julie – where is Brandon’s comment? it would be nice to see it whether you agree with it or not, especially since it keeps being referred to. gnm – i did hear lots of things pertaining to feminism in conference. Elder Robbins seemed to address it very clearly. Something like attempting to change or lower the church’s standards. Are we just now a generation of “I want it my way and I want it now?” Reminds me of the volleyball game last night where the girls basically demanded that a parent go get pizza cause they were hungry NOW and couldn’t wait an hour. @livermore ah, I see now. Watching it again, I now realize the choir sings twice at the beginning, and I see the prayer at 5:00 ish. I just realized that Poelman’s talk is from 1984. Awesome. Brandon’s comments were removed at his request (not because I didn’t agree with the comments). The one who needs to weigh in on this is WVS, the expert on Mormon editing. To be more clear: Silly little edit be damned. What am I doing that may place the Restored Gospel of Jesus Christ in a bad light? That’s the royal “I” by the way. I’m not taking all the blame. It does feel like that is the only thing we can do, doesn’t it, GT? What bothers me here is not so much what they edited, but THAT they edited. If you really, truly feel an edit is needed (they misquoted someone or perhaps someone might misunderstand a point of doctrine), you still owe it to your audience to footnote that editing with an explanation. “Edited because he misspoke or cited incorrectly” “Edited to clarify doctrine.” Don’t just edit it thinking no one will notice or care. How many have left the church because they’ve felt the church has been dishonest or deceitful about our history? How many faith crises have arisen because people learned on the internet that what they were taught wasn’t always accurate? Then WHY ON EARTH would you want to add fuel to that fire? Be honest in all your dealings. Footnote the edits. Who cares? Is it going to affect your salvation? What a bunch of “nitpickiness”. And I’m pretty sure that they didn’t allow women into the conference center during the priesthood session because it would have been a big distraction. If one doesn’t like what a church is teaching or what it stands up for, he/she should feel free to go elsewhere. Everyone has a choice, right? No church should be expected to change because someone feels that their needs aren’t being met. Geesh. Sue, a message this conference has been that it’s OK to ask questions. Do you not like that teaching? I think whether the church that I have given my whole life to values me in the church does affect my salvation. The edit isn’t the problem, what it says about how it views is members is the problem. I guess you don’t believe that the LDS Church is the only one authorized to provide saving ordinances? Because if you did, you surely would not so cavalierly advise your sisters and brothers to stop caring about salvation and exaltation. Who said that I’m even a member? My point is that churches are run by humans. If you really believe that the church you attend has true doctrines and you’re taught that you’re valued by God, why does it matter if a human edited a prayer? Questions are awesome; but it’s when people want a church to change to meet their own beliefs that the questions become a problem. It’s not about the Church changing to meet individuals’ beliefs; it’s about whether the Church can change to live out its own ideals. Your comment is a little vacuous. You offer no context at all to help folks see the matter differently than FAIR does. #40 kw makes it sound as if Bro. Carlson deliberately said “fourth session.” Can we just pause a second to say thanks to him for that? For me, having the Women’s/Girls’ Meeting being officially part of General Conference is almost too small of a crumb to even ask for. But I do appreciate that Bro. Carlson knew that some of us cared and made it a point to give the crumb that he was in a position to offer. It’s like you’re watching me all the time, GST. Thanks for that link, Kristine! It’s helpful and a bit disappointing to see what was edited as it seems to suggest that those behind the rewrite think the general membership of the church can’t be trusted with Spiritual discernment. I hope that’s not the case. Also, I think the author makes a very good case for the Church’s incoherence regarding women’s issues. So good, in fact, that I think it would be best to consider the case closed…that the Brethren are so all-over-the-map on this that the overall message is that the Sisters need to find a way to figure this one out. The Lord it seems has presented us with a “sealed book,” and as per Isaiah 29:11-14 He is not pleased when we say we cannot read it because it is sealed, and not pleased when we say we cannot read it because we are not learned. We have to find a way to “read it” or at least have enough faith to start the process of figuring out what’s in it. It’s a Mystery, ladies; something God has given us to see if our hearts are still turned to Him. So, instead of asking “Do Women Count?” it might be better if we just considered the fact that sometimes women count (the Eight souls saved in the Ark, the women of 3 Nephi 17:25, etc.) and sometimes they don’t (in Christ’s miracle of the loaves and fishes, etc.). Doing so might just lead us to ask the questions which could shed light on everything, such as: Are there any other people in the scriptures that sometimes “count” and sometimes don’t? Such as the strange phenomenon in Numbers 1 and 2 where the Lord commanded Moses not to count the Levites, but by Numbers 3 all of a sudden the Levites were to be counted? And who are the Levites? Those of the House of Israel who have a right to the priesthood by lineage. I’m not Kristine, but it would be easy to start with the concept of honesty. We as members are taught to be honest. In temple recommend interviews we are asked if we are honest in all our dealings with our fellowman, or something along those lines. I assume we would be denied temple recommends if we answered in the negative. But how honest is the church as an institution when it edits happenings at conference without a notice somewhere that editing has been done? How honest is it to pretend one thing was said when the editor knows that something else entirely was said? As Julie says in the OP, one little thing doesn’t matter so much, but when it just keeps happening, we end up with a pattern of pretense and dishonesty. Which is clearly against what we are taught in the church. I’m late to the discussion, but I also thank you for documenting this. May I proposed that we view this episode in the context of other post-conference alterations. Someone above mentioned the Poelman episode. More recently we have seen the Perry episode (removal of his statement that fathers and mothers are “co-president”) and the Packer episode (removal of his statement that the Family Proclamation qualifies as “revelation”). Interestingly, it seems that some of us (myself included) dislike some of these alterations at the same time we applaud others. For me, the real take away is that there is not complete unity among the FP/Q12. In order to maintain the appearance of unity, the brethren keep a policy where nothing is said at conference unless they all agree. Sometimes that policy is carried out sloppily (today’s is a great example). But the more important issue is the policy itself. Why is it so necessary to keep up the appearance of unity? So important, in fact, that the appearance of unity in the FP/Q12 takes precedence over trusting the general membership with grayness? Perhaps, in the spirit of “Lord is it I,” the best course we can take is to demonstrate to our leaders that we can handle disagreement amongst ourselves without it leading to contention. If we can do so on this and other message boards, maybe the brethren will trust us with more knowledge of they disagreements they hold. I don’t think they read this or other blogs or message boards. Also, I think that the Perry and Packer episodes (modifying the printed text of a talk though leaving the video/audio intact) is substantively different from what has happened here or in the Poelman episode. It would be nice in the former if a footnote had been included acknowledging that a change had been made but even though it isn’t, one can still go back to the video version and here the way it was before the changes were made in the print version. In this case, because the actual video has been changed, it constitutes literally attempting to change the facts themselves, which cannot be done. You can add the removal of “feminist” thinkers from Elder Christofferson’s talk back in April as another example of an unexplained change in the text but not video. I guess that “f-word” didn’t warrent a video edit. Jack–You say “vacuous;” I say “succinct and diplomatic.” Let’s call the whole thing off. “While the women’s meetings have long been an important part of general conference week, they are not usually referred to as a session of general conference. On that note, I think it is time to close the thread.